Two men from South Korea have been sentenced for creating a bitcoin pyramid scheme that swindled some 20 billion Korean won ($20 million) from investors. 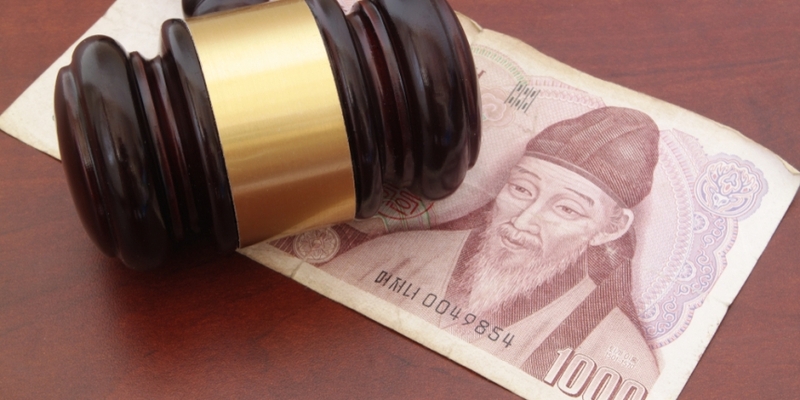 On April 19, a judge from Seoul’s Incheon District Court issued fines of $15 million and $8 million, respectively, to the two fraudsters, according to local news source Yonhap. The report said the two men started the scheme in 2015 and subsequently built a multi-level company by promising investors high returns through investing in bitcoin. “The multi-level transaction is a risk to the socioeconomic order with mass production of many victims,” the judge was quoted as saying in the report. The fines were given based on the considerable sum they had attracted from victims of the scheme. The report comes just days after neighboring China beefed up its efforts to crack down on multi-level marketing schemes disguised as bitcoin investments. As reported on Wednesday, Chinese police arrested the founders of a claimed nationwide cryptocurrency pyramid scheme that had amassed $13 million from over 13,000 people.